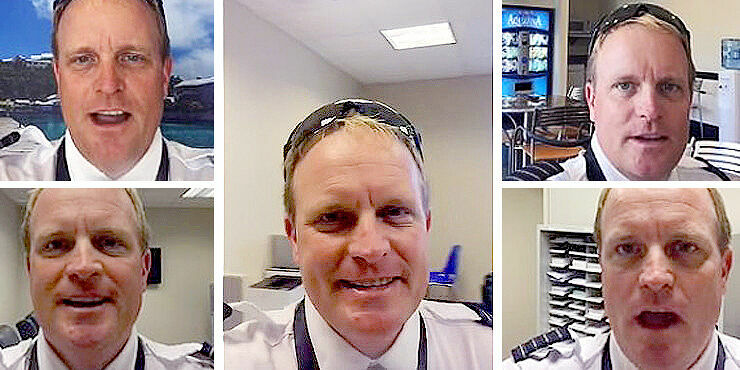 You might think that being a private jet pilot is all glamorous locations and excitement, it has to be right? But you'd be wrong. It's actually very uneventful. To give us a glimpse into the somewhat bored day-to-day life of a private jet pilot is Mike Wagner, who's made this Beach Boys parody video to show us all what they get up to. Or don't, as the case may be. Spoofing the Beach Boys' hit "I Get Around" Wagner and his colleagues sit (and sing) their way through their version of the song, "I Sit Around." Because they seem to spend major parts of their day sitting around waiting for flights, waiting and thinking up ideas for viral videos. Proving that, while they may not get up much during the day, all that waiting around does mean they get to make a fun video with their time. Of course it could all just be one big lie to cover up the jet-set lifestyle we all presume they have.